Binary plan is given that name because they are built on a matrix of two. This is actually a 2 x n matrix plan where n is the number of levels where commission can be derived and n is actually infinity. You can assign only two people called as two legs in the first level and everyone goes beneath those people so that you can have 2 people on your first level, 4 on your second, 8 on your third and so on. In this plan every binary having what’s called a “strong leg” in it. This strong leg is the very outside downward line of distributors making up each of the many pyramid shapes in one’s organization. 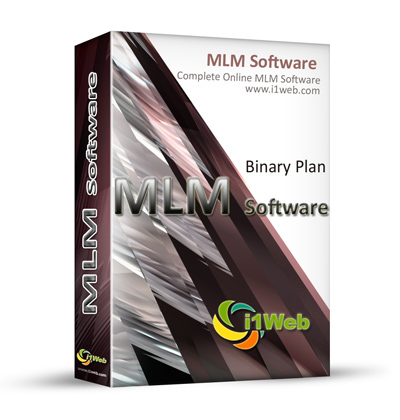 MLM Software supports you to setup your own Binary plan Software within two simple steps. This software is comprehensive online solution for handling your MLM business. The admin panel makes it easy for administrating your network using simple user interface so that anyone can operate easily. Binary plan is also called as spill over, where up line members get profit from the product sales of down line associates. 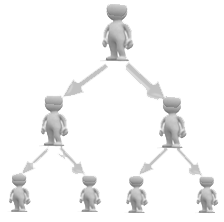 It is a MLM plan where two frontline members are allowed, and extra members get joining into the consequent down line members. Our enormous experience in MLM Online Software over 5 years enables us to deliver the right solutions and services that can match with any of the business plans. Since the mid 1990’s binary plan has become more popular plan in the industry and plays a key role in financial success. People who are entering in to binary marketing can gain high earnings with positive effort.